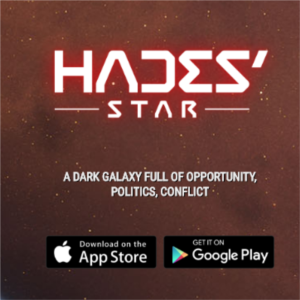 Hades' Star is the latest android (also iPhone) game I've been spending my time playing. Based on the images from the Android store, the game reminds me of an old game called Homeworld. It's a space game where your ships interact with planets, computer enemies, and even other players. Meanwhile, you must discover and colonize other planets. The game has great reviews, so I downloaded the free android game. Here's my take on the game and the things about Hades' Star I learned along the way. Credits: the primary currency used to buy, build, upgrade, and research. Credits are slowly accrued every hour or can be quickly earned by facilitating trade between planets via Transport Ship. Hydrogen: must be mined and is the gas used to fuel ship movements. This can be mined with the Miner Ship from asteroid fields that are scattered (and automatically regenerate) throughout the map. Crystals: can be purchased with cash and is used to quickly refill Credit and Hydrogen. These ships are built at the Shipyard. Depending on the level of the shipyard, you can only have a certain number of ships (in any combination). Depending on the level, each ship has module slots that can be used to upgrade the abilities of the ships. Transport: used to gain credits in your home star, but can also be used in Red Stars to pick up artifacts. Miner: One purpose is to mine asteroid fields for fuel for Transport Ships and Battleships. Battleship: The primary fighters to destroy enemies. These are the available buildings that you can build near your colonized planets. Not all space stations are available to build from the beginning, but get unlocked as your proceed in the game. Shipyard: Build space ships. You only need one of these and the space station is also used for upgrading ships. Short Range Scanner: You can build many of these, and they're used to expand your territory. They can only scan adjacent sectors and cannot be moved, so consider carefully before building. Red Star Scanner: Used to interact with other players. In the lower levels, players are on the same team and Battleships don't attack other player's Battleship (though competing for the same resources). In later levels, other player's Battleship's do attack each other making Red Stars more competitive. Research Station: Artifacts can be researched into modules, one at a time with 3 others queued up. Diplomacy Station: For a team with other players. Though useful, I find it difficult to to profit from very much. I'd prefer the Trade Station over the Diplomacy Station. Warp Lane Hub: Build a warp lane to help shorten the amount of time it takes to travel in your star system. You'll need to activate them with Hydrogen. One activation lasts 24 hours. The Transports won't know to use them automatically, so you'll need to manually use it by having a transport start at one side of the Warp Lane Hub and end at the other end. Trade Station: These are very good sources for trading. They're just like planets, but they seem to have higher credits than planets. Also, the advantage is you get to choose the location, so you can put (and move them) to a more advantageous location. Artifacts can be collected at Red Stars (accessible via the Red Star Scanner). Because the collection of artifacts is like a race, you need to know what you're collecting. Obviously, a higher level artifact is better (and usually takes up more space in your Transport Ship), but the type of artifacts dictates you get after researching the artifact. Artifacts collected from Red Stars provide the most, so your primary goal should be to try and keep your Research Station full at all times. Position your Research Station as close to the Red Star Scanner. For 200 hydrogen, you can re-locate your Research Station, which is well worth this very minor cost. The point here because Red Stars are only active for a short period, you may need to drop off goods to your Research Station and head back to the Red Star as fast as possible. When collecting Artifacts, go for the higher level items, which provide more benefits. Build Short Range Scanner next to the most number of unknown adjacent sectors. Each additional Short Range Scanner will cost double to build and double to reveal and scan. Miners Ships can mine even when you're not actively playing, so use as much of your Hydrogen as possible. If you need more hydrogen, mine Asteroid Fields closest to colonized planets while actively playing, and farther Asteroid Fields when not actively playing. Higher level Red Stars give higher level Artifacts which result in higher level modules. Build the Trade Station. They can be positioned in easy to use locations, especially near Warp Hub Lanes. In fact, once I realized how useful they were, I built all 3 one after the other. Rename your Trade Stations to help remind you where they are. I suggest naming them after the nearby planet to keep the names straight in your mind. Cerberus Interceptor are smarter ships that can attack you in Red Star Level 4 and higher. Unlike most other ships that stay in their quadrants, Cerberus Interceptors will follow you out of their starting quadrants if they are triggered. If the ship disappears, they seem to go after any other ships in the Red Star. Though the game does has extensive strategic options, such as where to spend Credits and proper attacking and collecting of artifacts. The game is on the VERY slow side, which is not particularly fun. To keep the game fully operating, expect to spend around 1 hour in the morning and 1 hour in the afternoon keeping everything optimized (in my opinion a large time commitment). I'd much rather spend about 15 minutes twice a day. Lastly, even though the game is fairly free style, much of it is controlled by amount of Credit things cost. The more you upgrade your planets, the high the amount of Credits can be stored. I plan to play Hades' Star long as I can tolerate the slow gameplay. I hope to at least get to the player and player part and plan to update here as a proceed. If you have any tips, please leave a note in the comments below.